Kinne IP Group's experience has served clients throughout the United States and abroad in litigation pertaining to patents, trademarks, unfair competition, copyrights, trade secrets and other related subject matter. 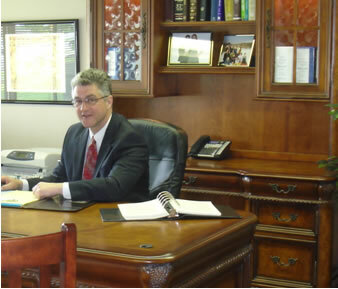 Mr. Kinne applies an efficient, direct style of trial preparation that is consistent with his overall philosophy: he identifies the important issues, develops and evaluates the evidence, works with the client to formulate a suitable business objective, and gets results as quickly as possible. One advantage of a small firm over a big one is that you know who is doing your work. Costs are contained by working smart, not by pushing your work down to an inexperienced lawyer. When necessary for complex litigation, Mr. Kinne works closely with lawyers and technical experts with whom he has worked before, tasking each person with specific assignments and managing the overall effort, all the while keeping the client informed of what is being done and why. We keep costs down and we get results. By doing so, we can offer contingent and/or alternative fee arrangements in many circumstances, both for plaintiffs and defendants.